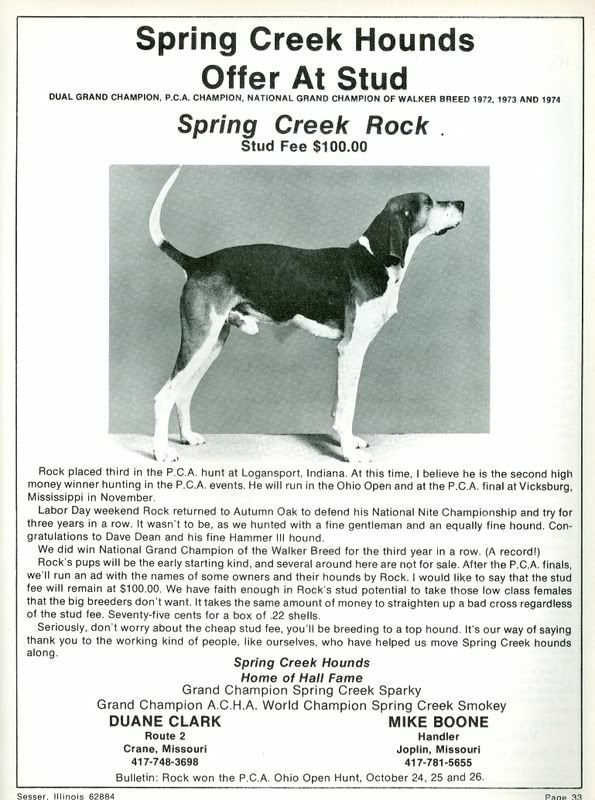 One of the top reproducers of his day and beyond was Dual Grand Champion Spring Creek Rock. 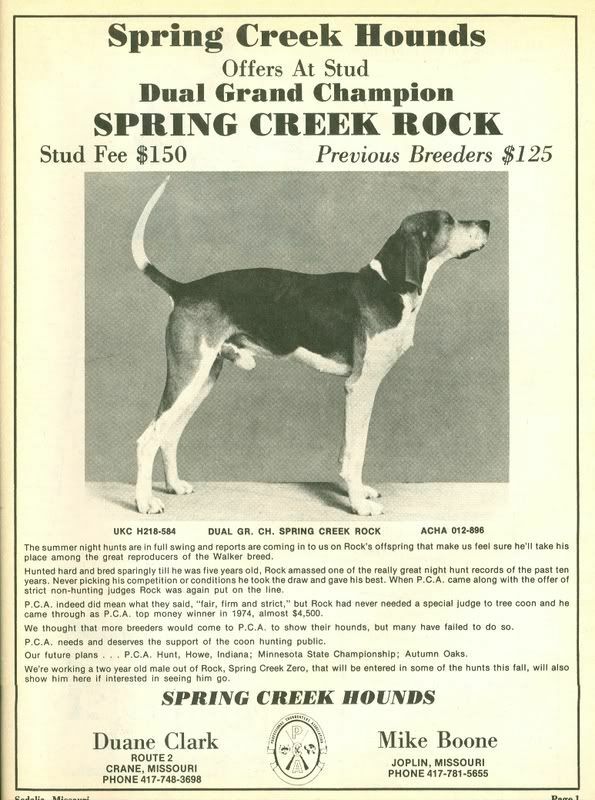 You will notice that his coloring is pretty common in today's hound, but in his day the way he was colored was the exception instead of the rule. 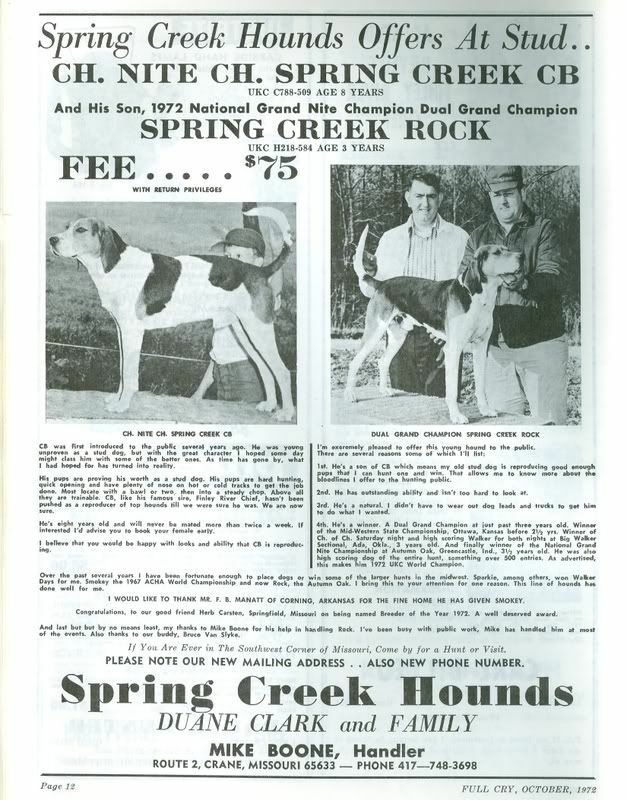 Spring Creek Rock was collected late in life shortly before his death. People had the foresight and science was ready to be able to collect Spring Creek Rock. There is Frozen Hope from Rock.